MBA002: Lot 53. POND, Arthur. 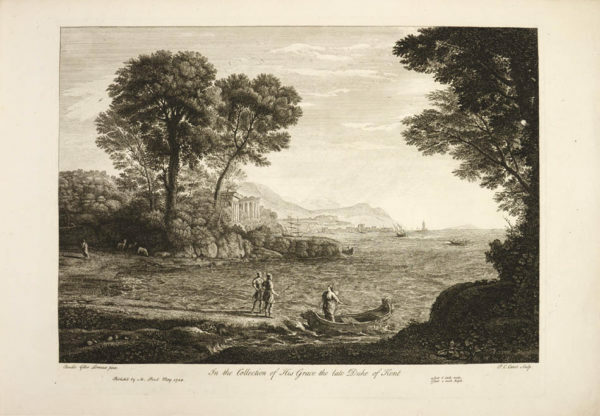 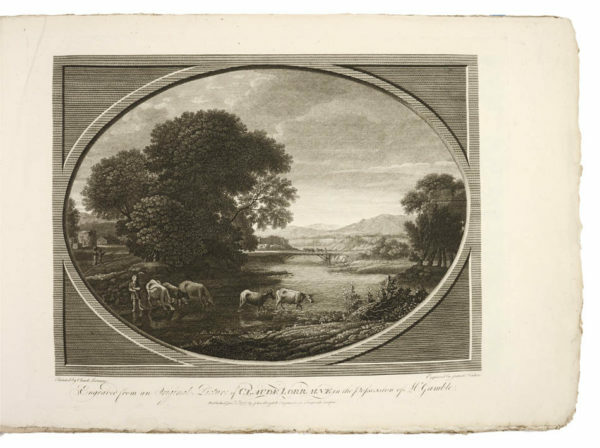 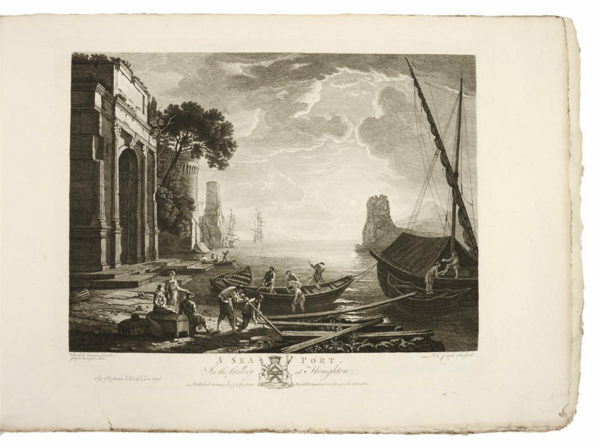 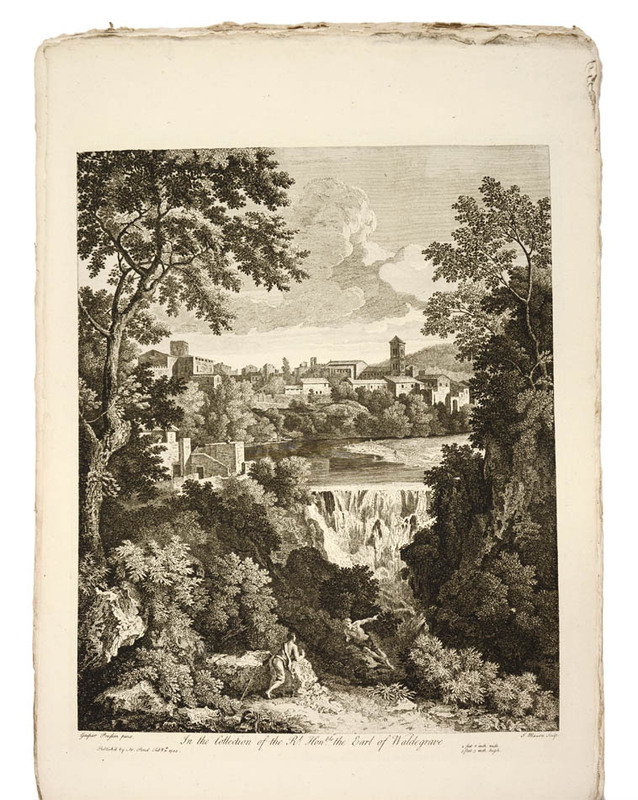 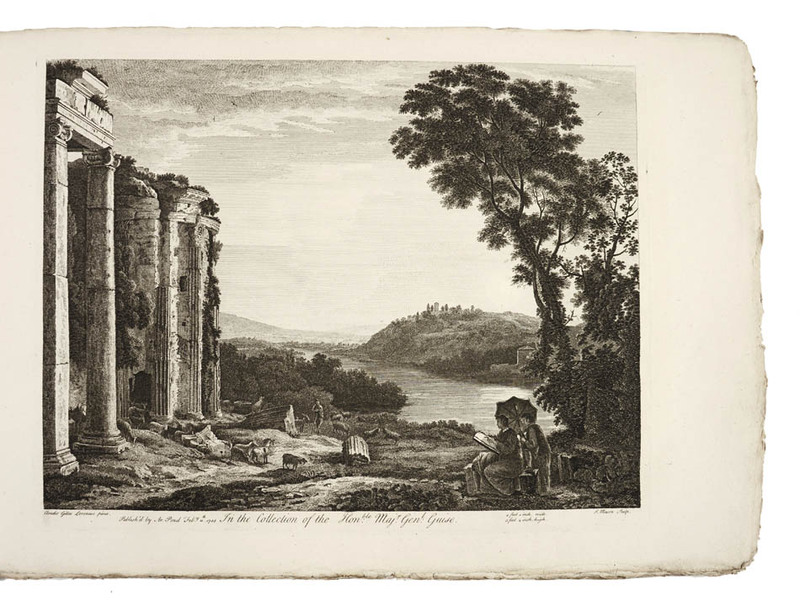 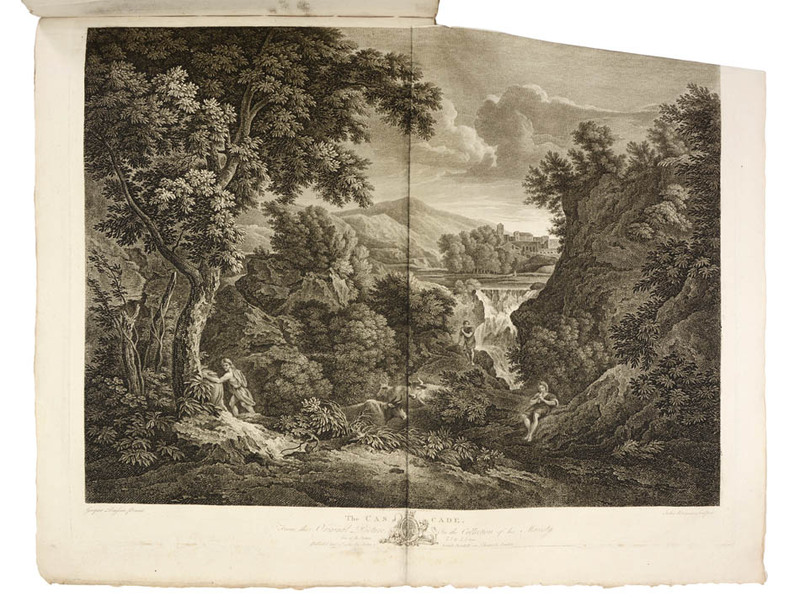 Oblong folio (53 x 36 cm), 44 finely engraved plates of classical and Italianate landscapes after Claude Lorrain, Poussin, and others, by Vivares, Mason, Chatelain, and others. 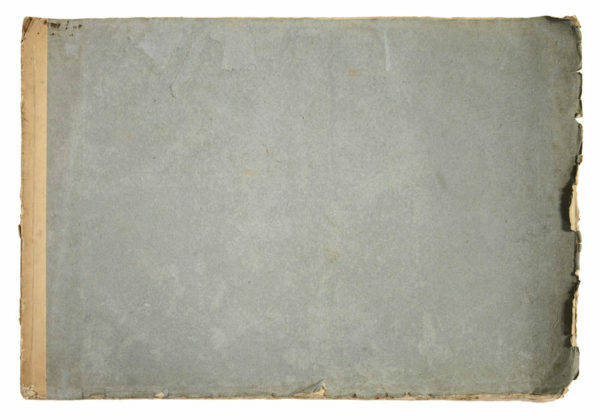 including 2 double-page and 1 folding, uncut, original blue wrappers, small defects to binding, an attractive example in original condition.